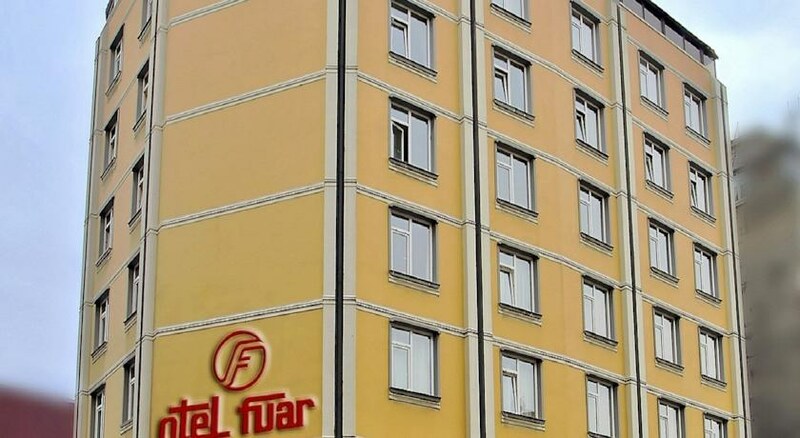 Hotel Fuar is located in the centre of the old town. 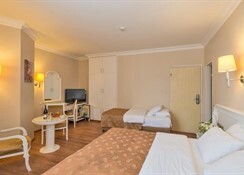 It is a first class hotel having all necessary, modern facilities to accommodate the people of today. The hotel has 68 private rooms with all together 135 beds. Every room has a colour tv with close-circuit video. It is also possible to listen radio through one of the 3 close-circuit channels. 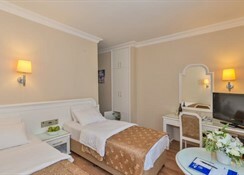 In all rooms of our hotel, you will find a mini-bar which has various soft drinks and alcoholic spirits. Hotel thinks about your business requirements; provides you a very special conference room. After day out, you can rest in the lobby-bar. In the hotel every room has telephone which connects you to any number on the world.